Some designers always want to design each and every part of their works on their own. There can be many reasons for this, they may like to take full credit of their creation, and it may give them the satisfaction that their design is their own and not a thing that is "borrowed" from someone else or copy/pasted. 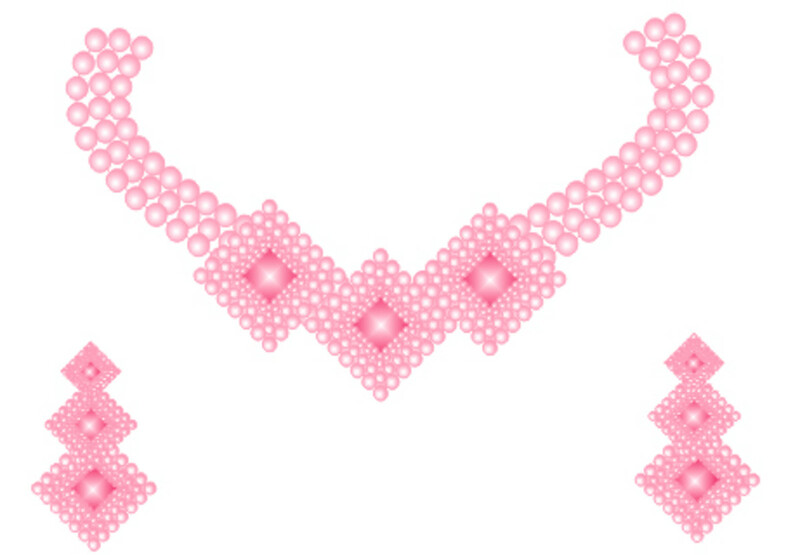 Corel Draw is an amazing software which helps designers to create designs, cartoons, jewelry and so much on their own. The possibilities are endless. 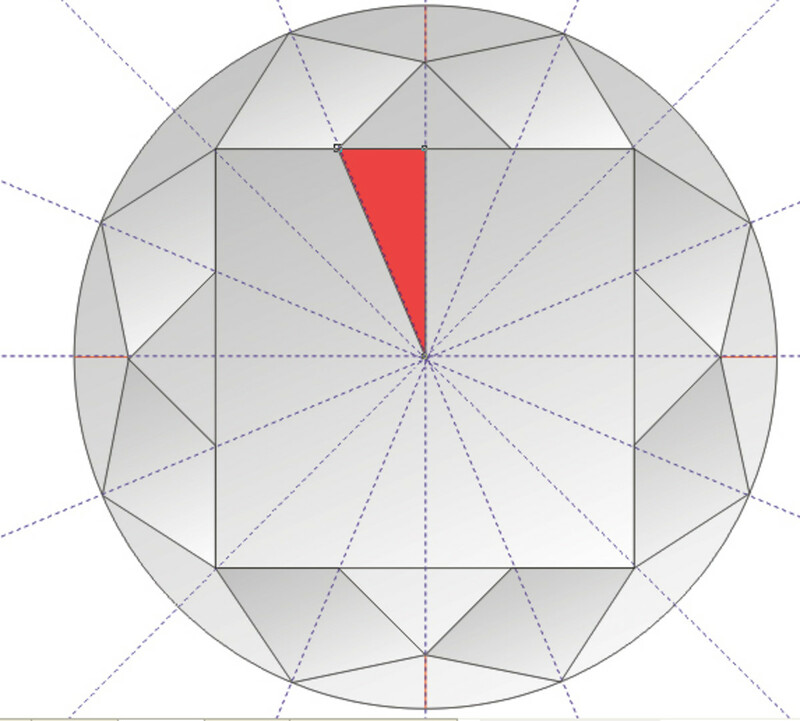 This tutorial shows a method to make a diamond from scratch. So that can be used in a jewelry design or suchlike. 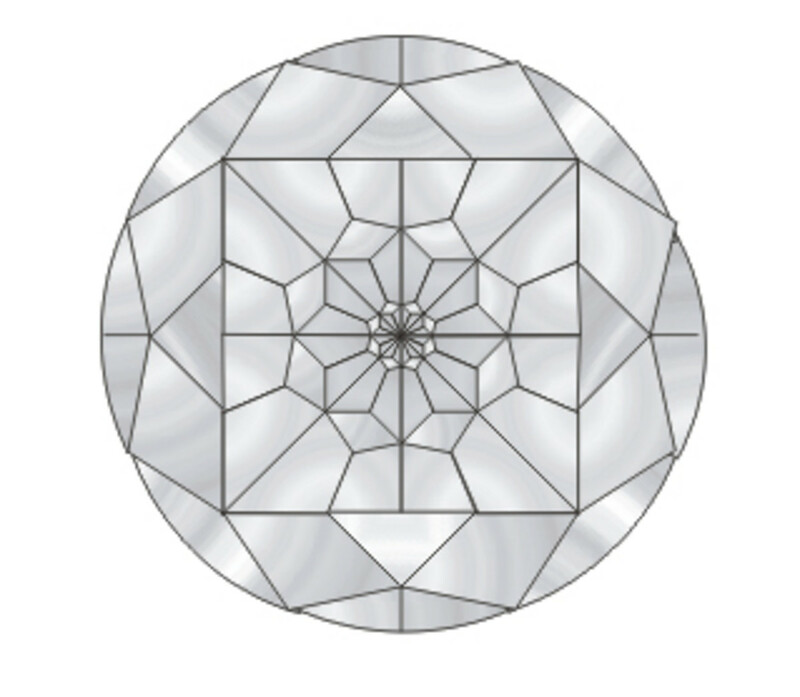 You just have to make this diamond once, and after that, you can mirror or use other techniques to arrange it in a necklace or earring design that you are creating. 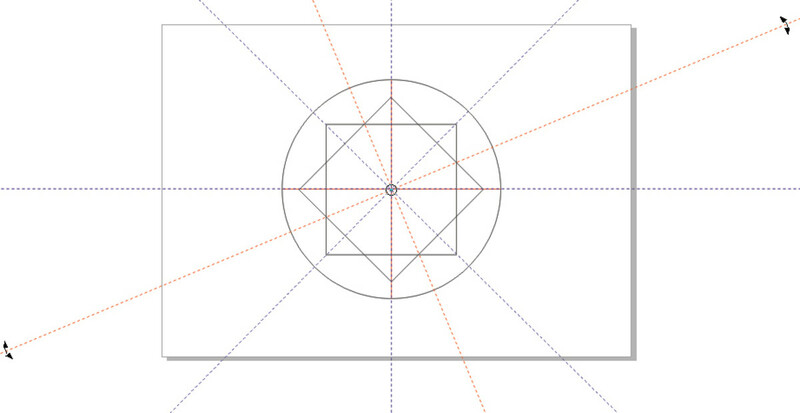 Draw a circle and pull the grid lines from the top and right side. To activate the guidelines click “View> Guidelines” in the menu bar or press Alt + v + i which is the shortcut key for same. Now we need to make some more guidelines but this time as a multiply sign. First of all, select the “Pick Tool” and then Press shift and select both the guidelines which we created by clicking. The Shift key as many of the Corel users know, allows us to select more than one object/item at a time. Clicking on the arc like arrow, while pressing the left mouse button to rotate the guidelines until it gets right and i.e. It looks like a multiply sign that is balanced from all the sides and divides the circle perfectly. 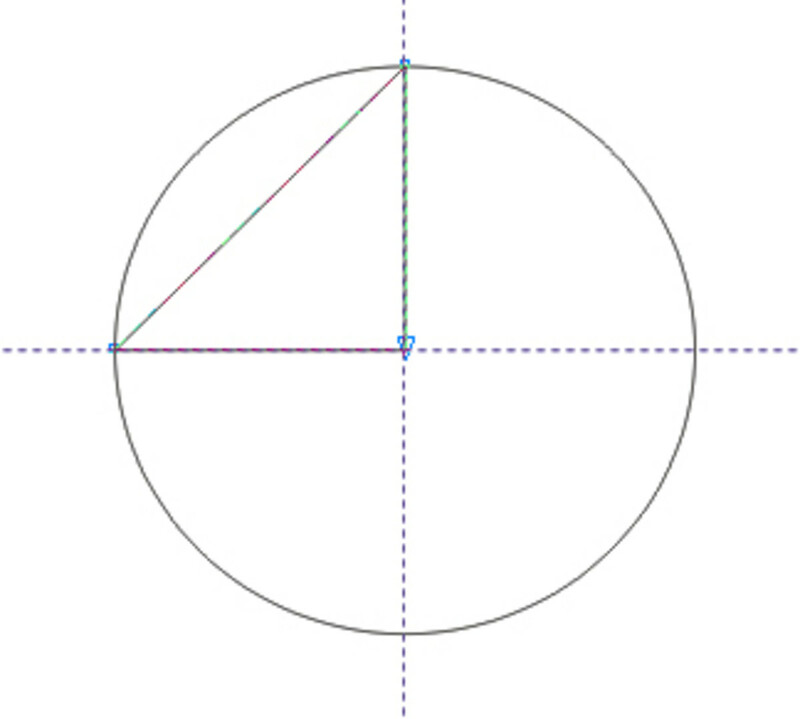 Now use the Bezier tool to draw a triangle as shown below. 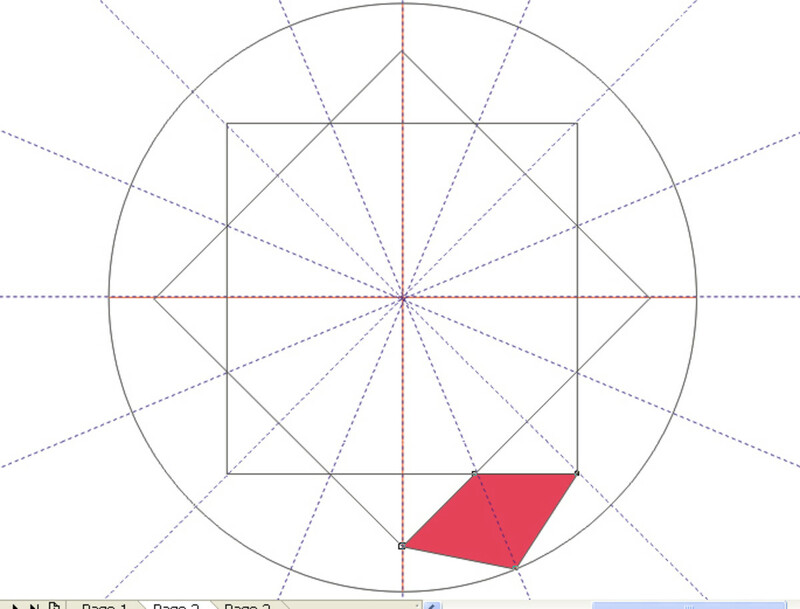 Then select the "Shape Tool" from the left panel and click the triangle and then select it. Click on the "convert line to curve" option from the top menu. 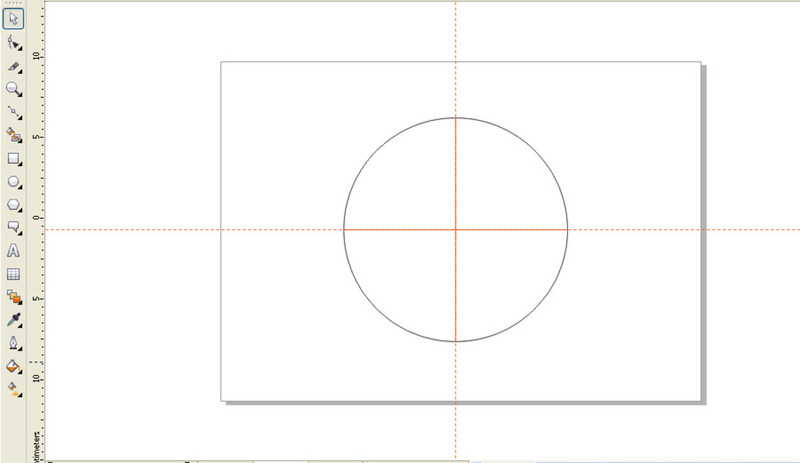 Adjust the diagonal line, so it becomes a curve and fits the circle edges. 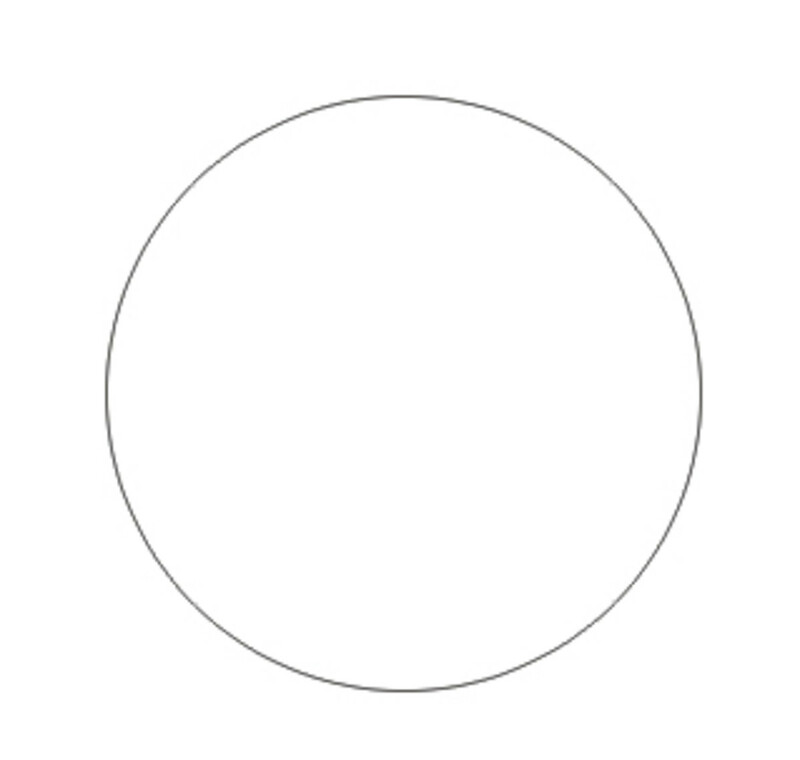 Now we will mirror this curve in the remaining three parts of the circle. Once all sides are mirrored, it should look like this. 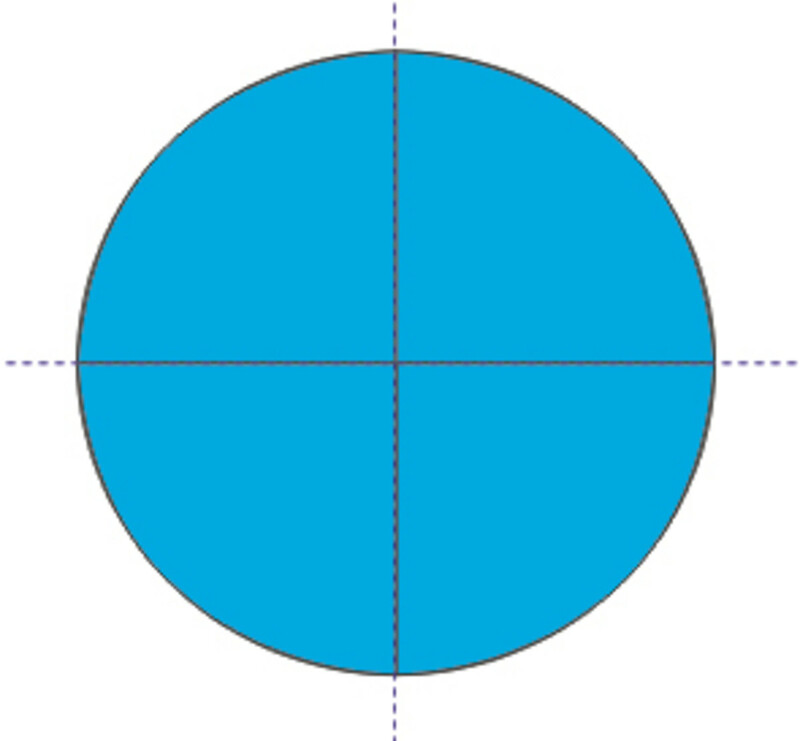 You don't have to color the half circles if you want, it's just to make things clear, and if you are making it for the first time, you may want to color it with blue or any other color and once mirroring is done, you can replace the color with white. Selecting two guidelines and making that rotate button may prove to be a pain in the head if you haven’t tried it before. The best way, is to keep the shift key pressed and select both the lines one by one. (Now the main part) Keep the control key pressed now and click on the selected guidelines. Most of the time, you will find that the selected guidelines will be deselected by mistake. So watch out for that! 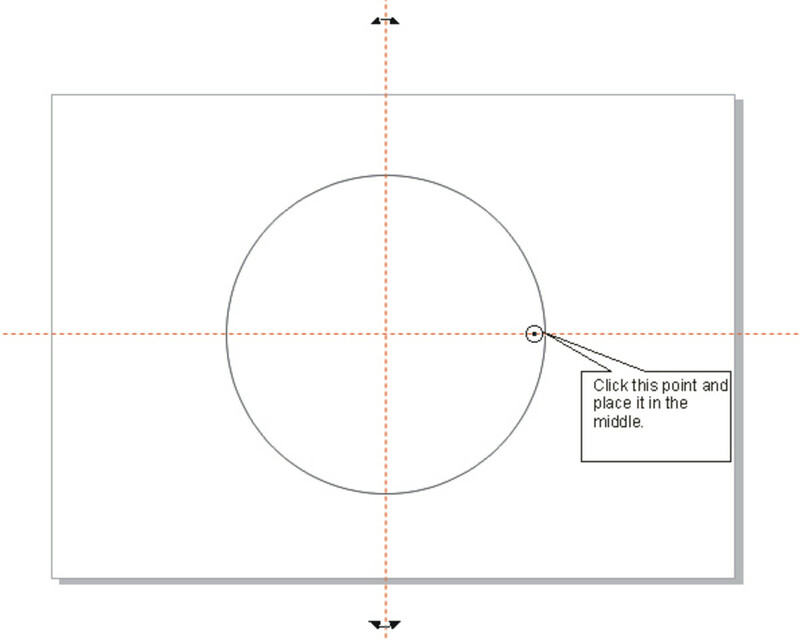 Now click on the rectangle tool from the side menu, and draw a square by pressing the control key. 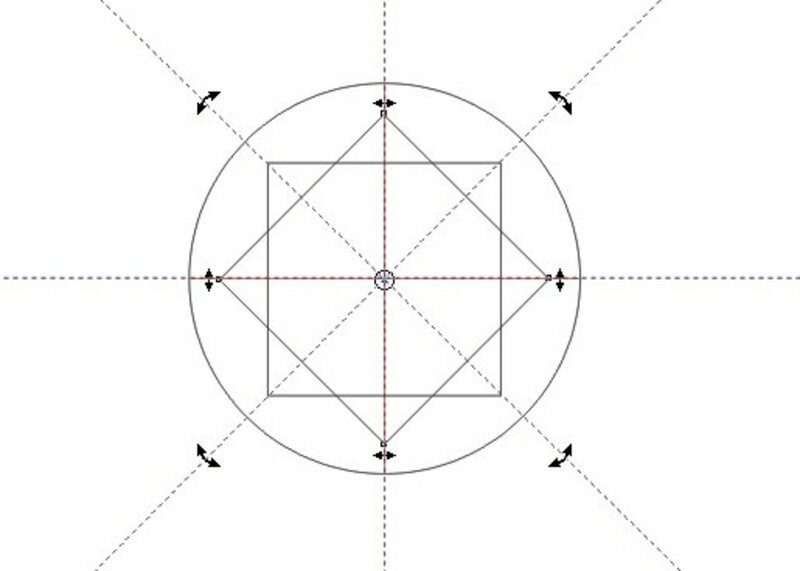 Make sure that intersecting point of the guides and the lines as a reference as shown in the figure to draw the square inside the circle. As shown below. You may be thinking why so many guidelines? And when are we going to make some drawing? Hang on.. just a little more.. You will know why. OK guys now we need more guidelines and we will select the two guidelines as a plus or multiply sign as mentioned in above steps and then place them in between the guidelines as below. 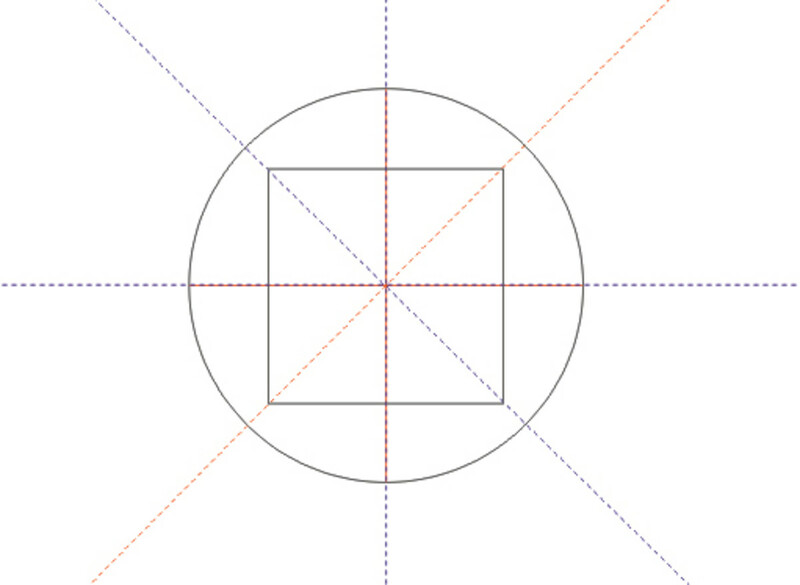 Now the new guidelines will pass through the intersection points of the two squares. Now we have all the guidelines we need. 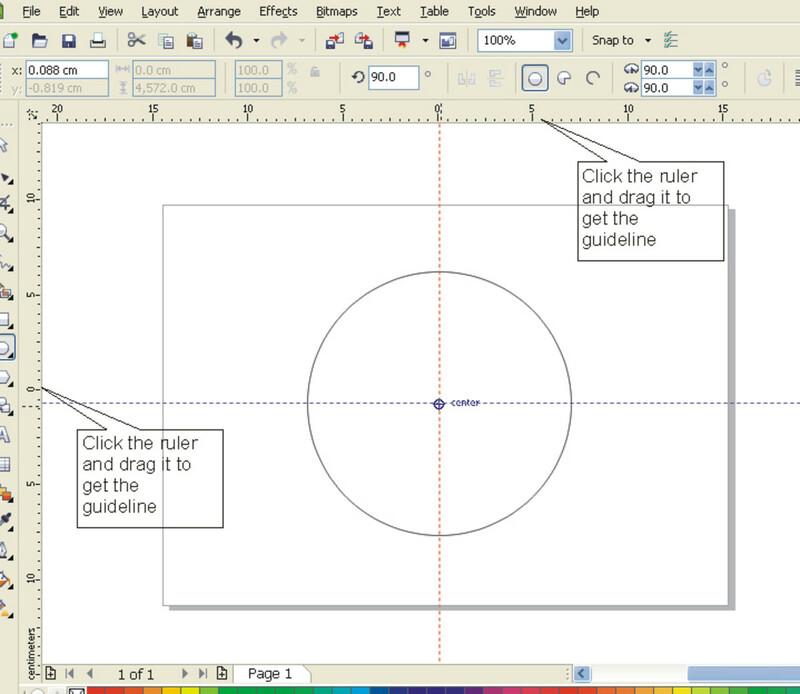 Since these guidelines are very crucial if you want to create a diamond in Corel Draw. 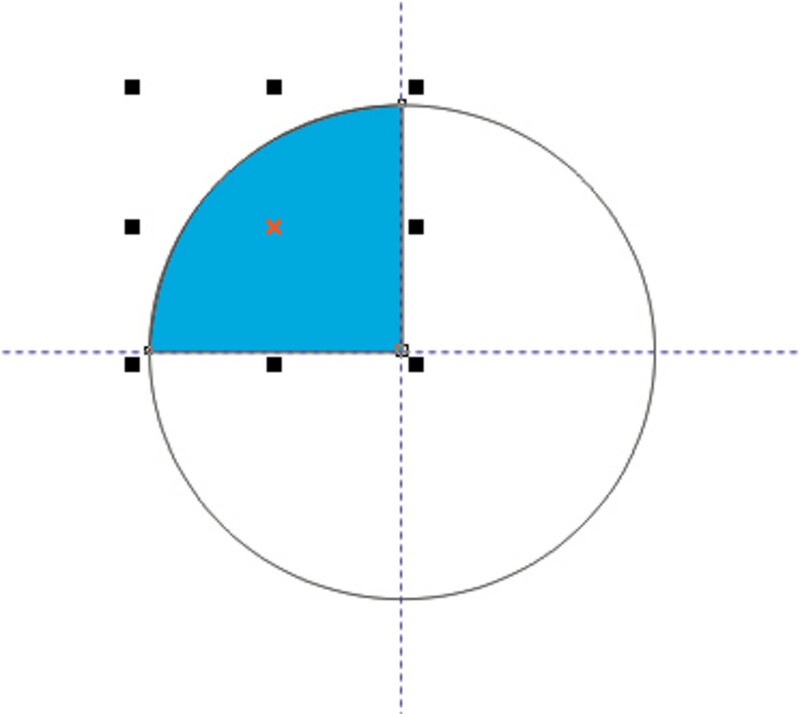 Click on the Bezier tool and we have to take guidelines as reference and create shapes by using Bezier tool as shown beside. 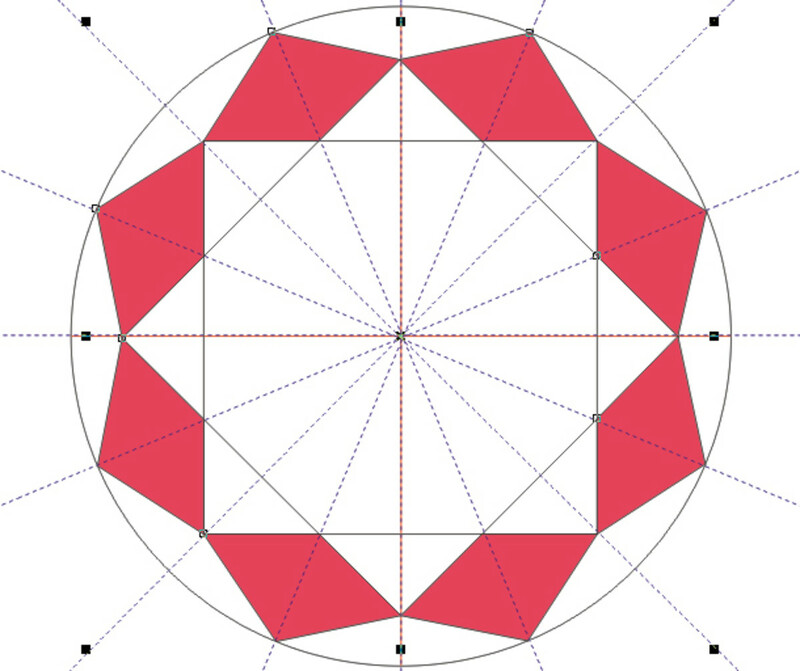 This shape is highlighted in red so you can spot the progress. 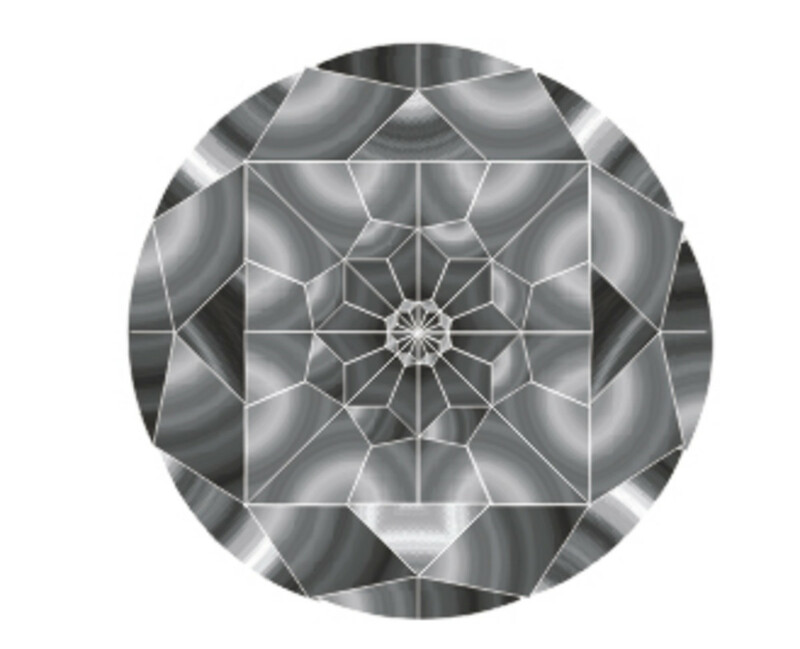 You can see after the above step the diamond has a greyish white color. Also click on the square that is on back side and press "Ctrl + Page Up" to bring the square forward. 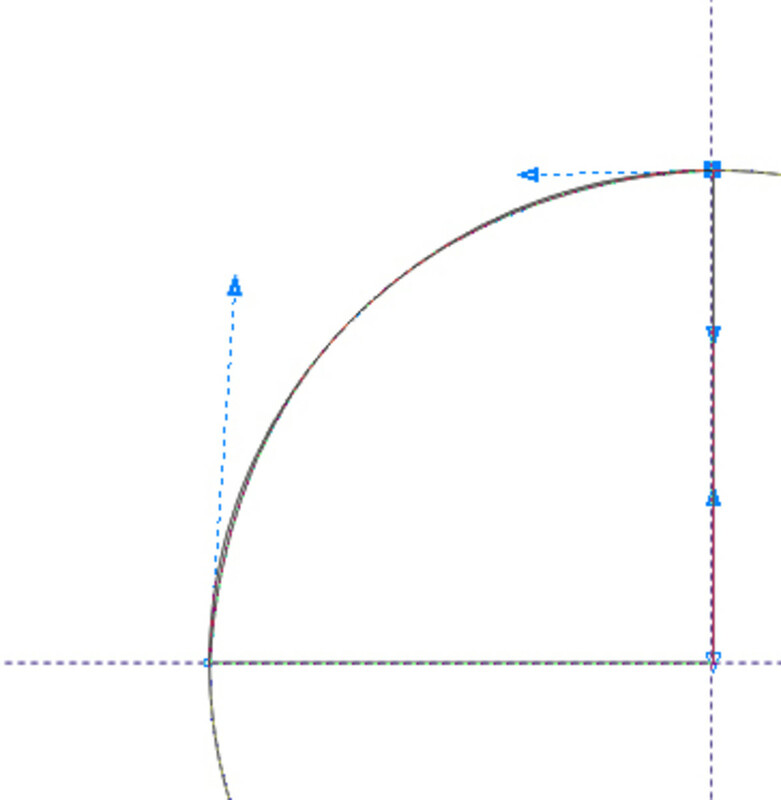 Now we need to make some more shapes inside the square by making use of the Bezier tool. As illustrated here in red. 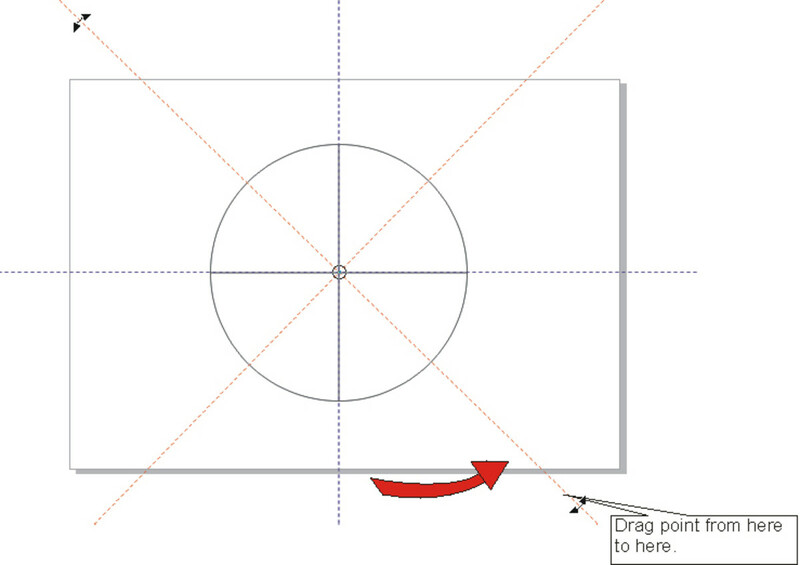 Now create another shape by means of bezier tool as illustrated below. The shape is colored in yellow so you can identify the changes. Once the shape is created all you have to do is use the "mirror" technique and paste it in all empty spaces. After this step, we won't need the guidelines anymore, and we can turn it off by Clicking View > Guidelines. 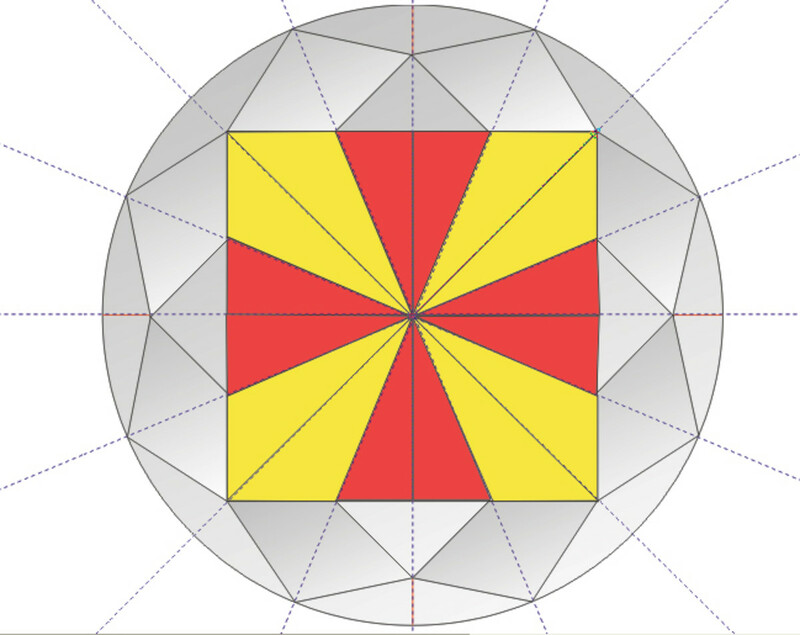 This is our rough final diamond design. 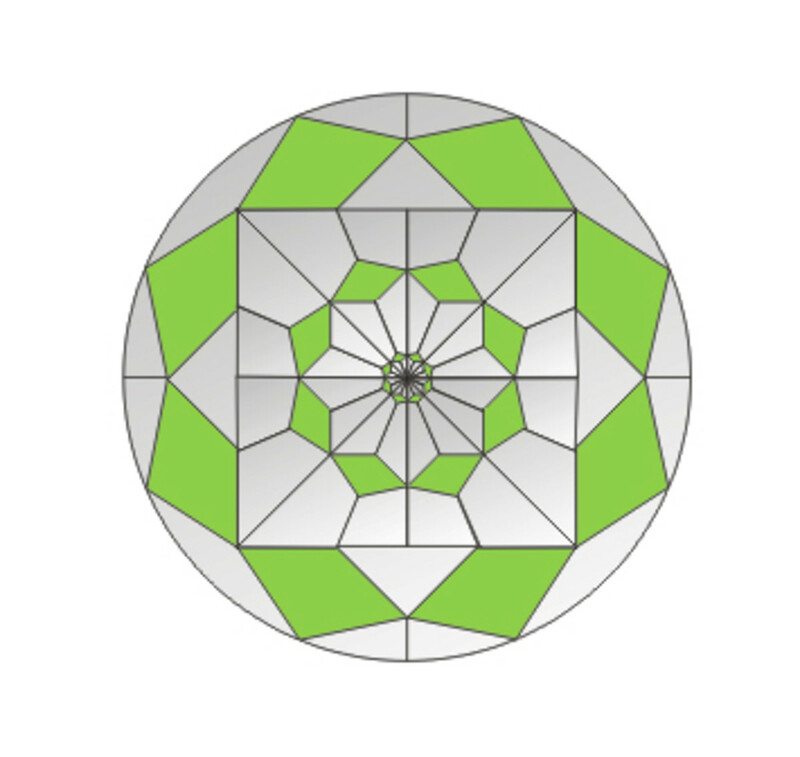 Select the full diagram again and color it as shown in step 9. 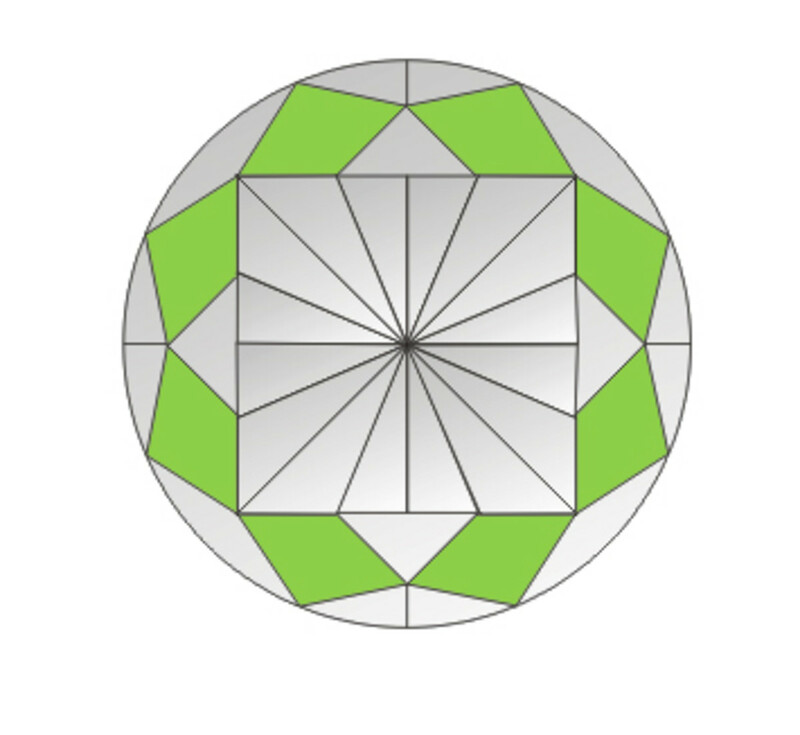 Select all parts that are colored in green by pressing shift and clicking on each of these. Keep shift pressed and make a smaller copy of these parts inside and right-click to place the copied parts in place. Do the same thing for a second time, but this time the copies are very small. Keep shift pressed and make a smaller copy of these parts inside and right click to place the copied parts in place. 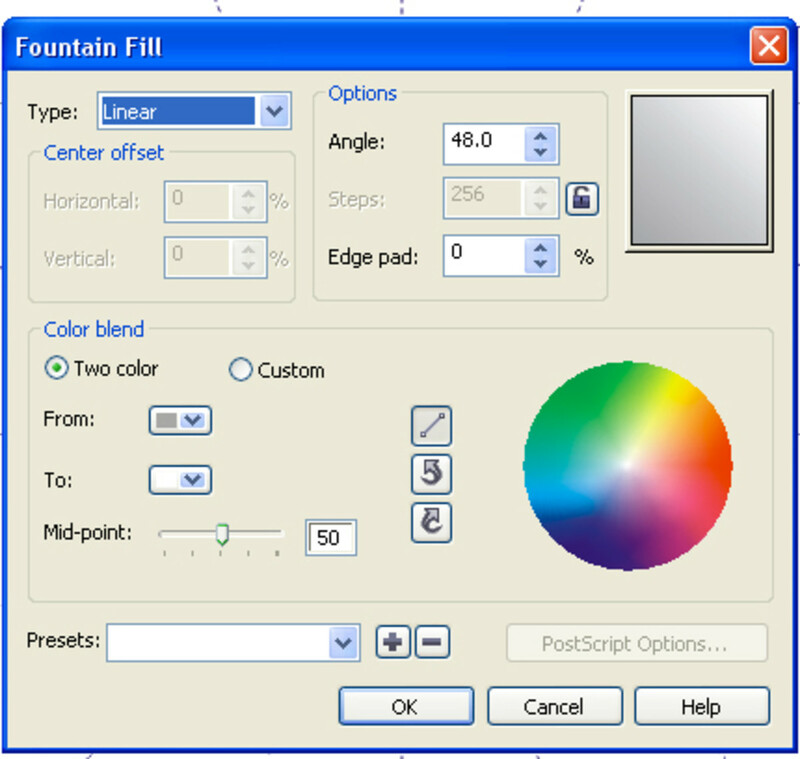 For the final time, select all the contents and on the side bar select " Fill > Texture Fill > Styles > Eclipse 2 Colors. Change the "Bottom" Color as shown in the image of the dialogue box to a darkish shade of gray color instead of black. 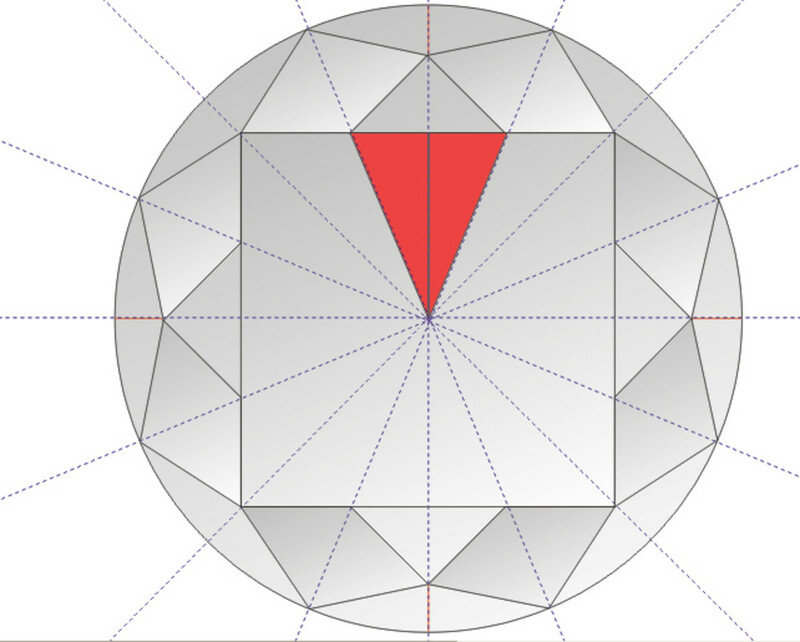 This setting will give life to the diamond. We are almost there. 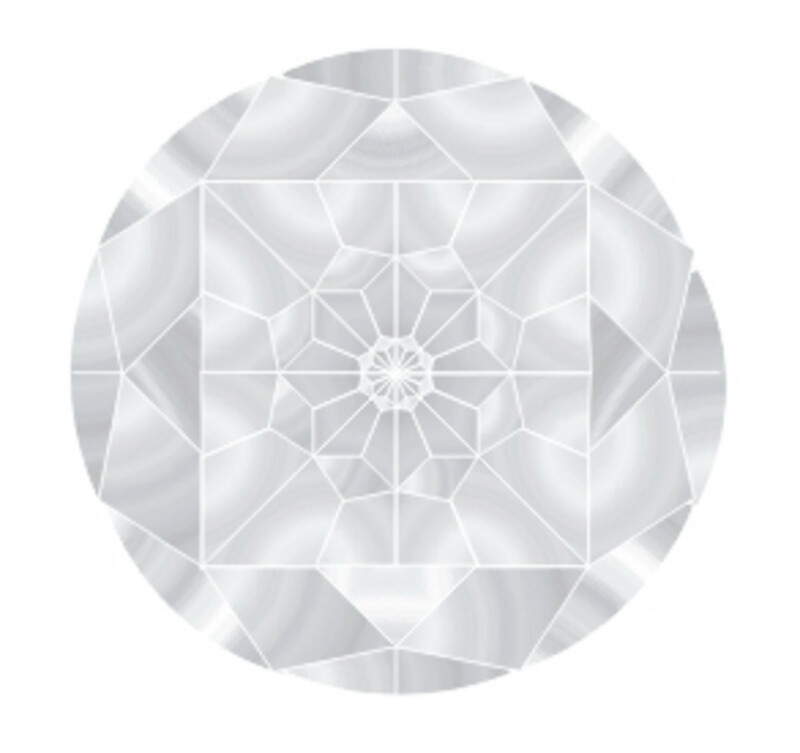 Finally select the diamond and go to the color panel and right click on the white color which will change the border of the diamond from black to white. 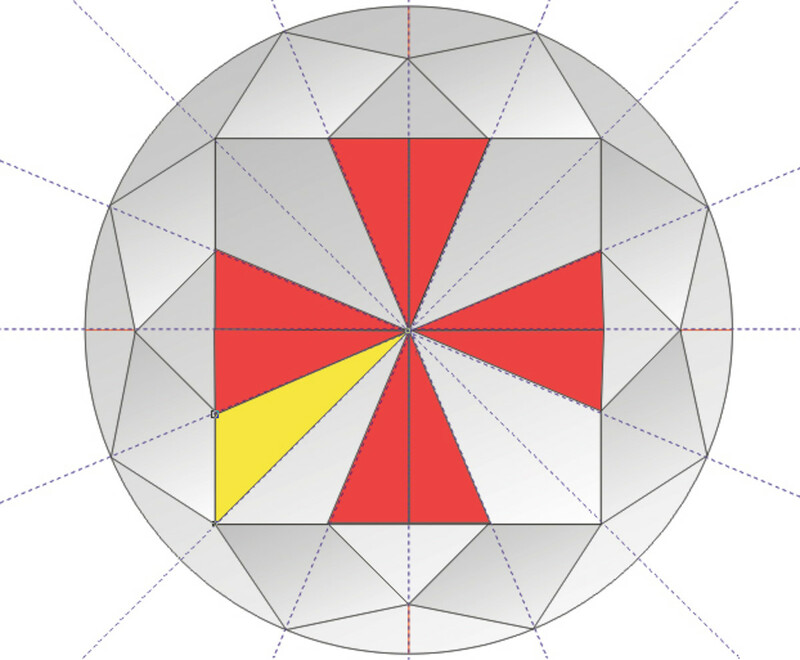 You can try out some different coloring style for the diamond to give it a bit more realistic look. 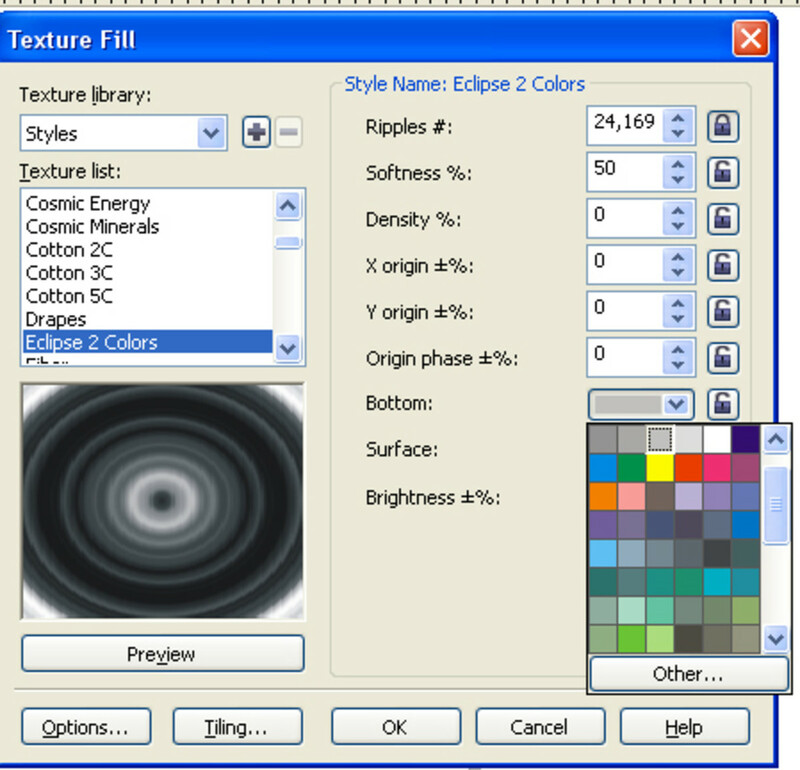 I found Fill > Texture Fill > Styles > Eclipse 2 colors , and change color to black instead of gray. So just keep playing around with colors to give a more realistic look. 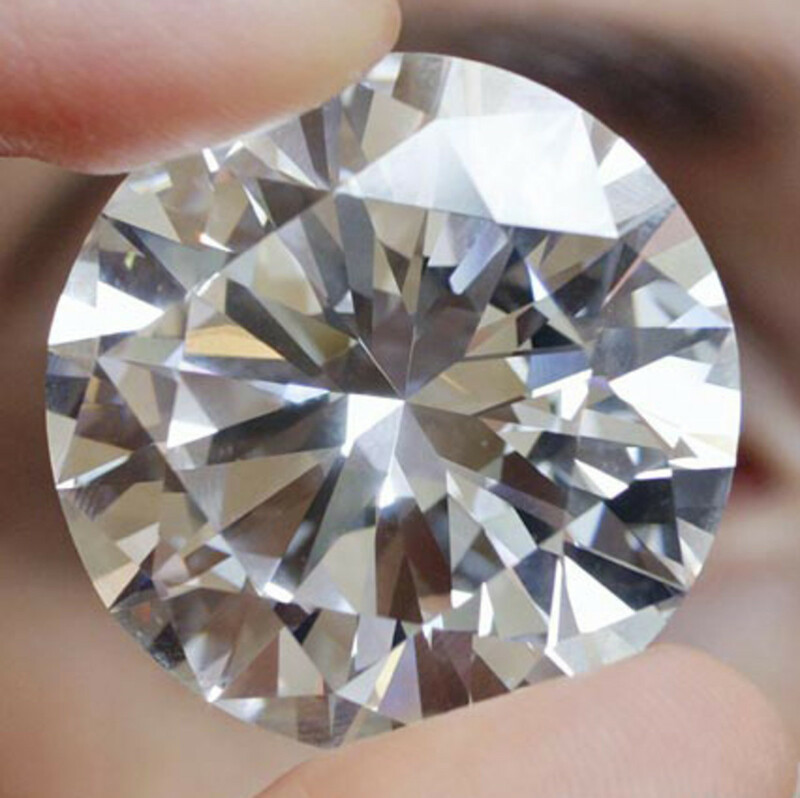 This diamond can now be used in a necklace, I may make a tutorial on making a necklace using this diamond in near future.. so stay tuned! I hope you enjoyed this tutorial and don’t hesitate to ask If you have any questions, I am always happy to help. Nice tutorial just like a diamond. Nice tutorial. This tutorial is like a diamond..
Great tutorial! 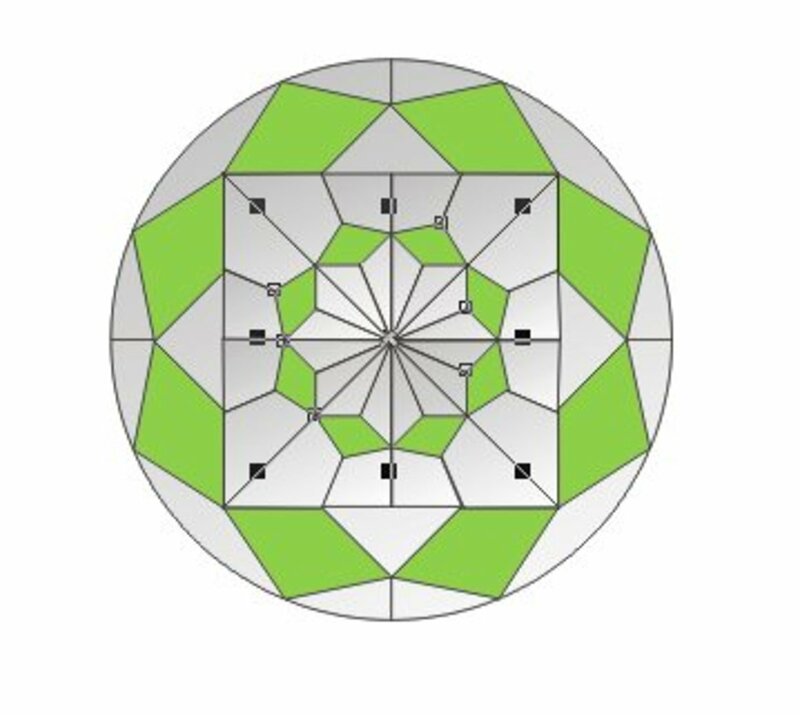 I am working with some students on Corel when they are drawing out shapes they tend to use lots of intersecting line and when we come to colour the shape we can't because it isn't seen as complete object. Is there anyway we can connect the nodes to create a full shape? Hey Elijah, happy that you can now make diamond on your own. thanks so much i really enjoy the process, just that it takes me a lot of time to understand the process, but at last i get right. and now proud of making a diamond. Hi timorous, Thank you for your valuable feedback regarding two tweaks that may make this tutorial easier for the beginner in Corel Draw. cheers! One thing you didn't point out is, it helps to have the 'Snap to Guidlines' and 'Snap to Objects' features selected. 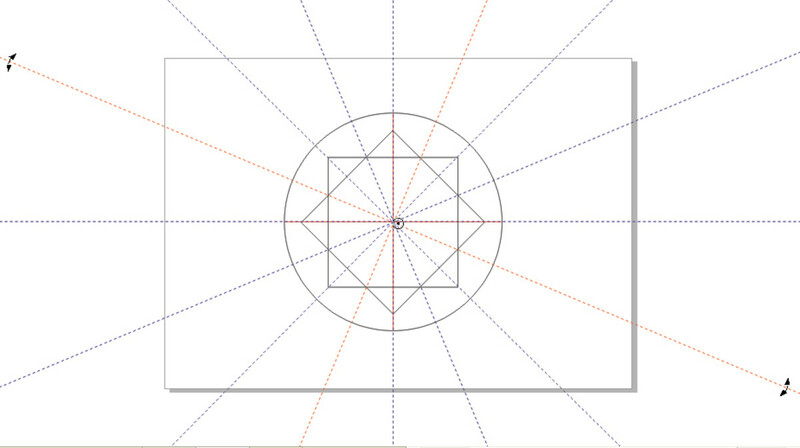 It allows you to get the 2 guidelines to snap to the exact center of the circle, as well as getting new lines to snap to intersection points. Also in Step 2, if you hold down the Ctrl key while rotating an object it will snap to each 15 degress of rotation (you can re-define it if you wish), so setting to 45 degress is assured, rather than guessing. Good that yo're only part-time addicted.. M come from a clan where everyone is a full time pc/internet addict :D. lol and I am glad that you found this tutorial useful. cheers! Wow ,this is useful information.Thanks for responding to my Hub question.Thank God they invented computers. (addicted to computers parttime).Enjoy your own journey with great peace. 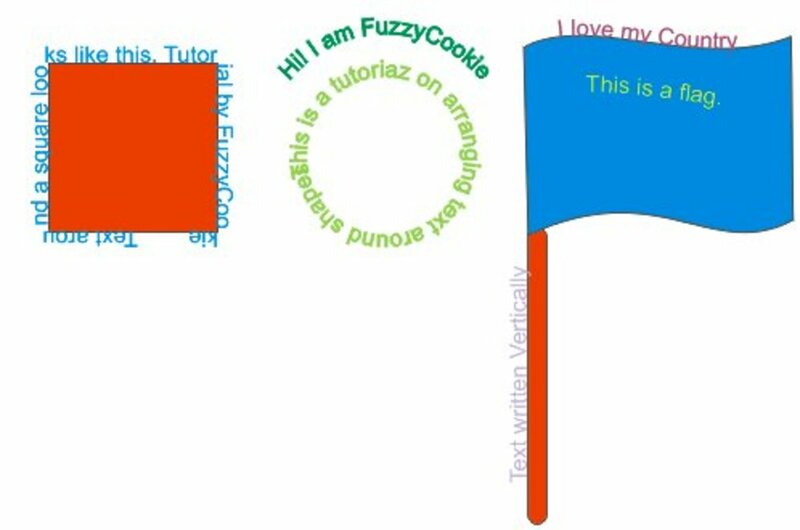 Excellent tutorial, great....thanks for this tutorial. 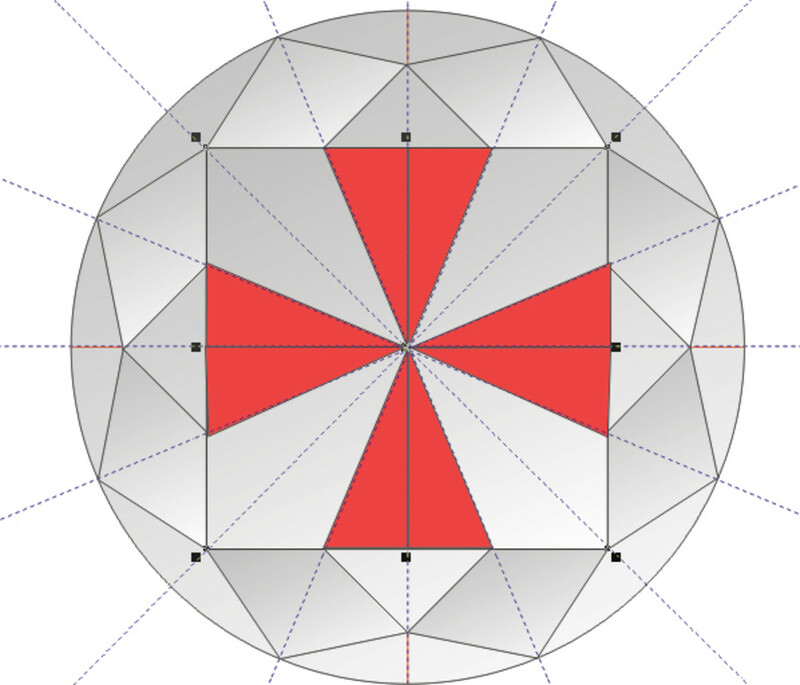 This is a great tutorial - step by step making a flawless diamond on corel draw. Most impressive outcome. Hey prasetio30, thanks for your kind comment and I am glad that you learned something new from this hub. Cheers! You teach me well, my friend. I love to draw something through corel draw. And I found new lesson here. I also love to follow your video tutorial. Thanks for share with us. Vote it UP!